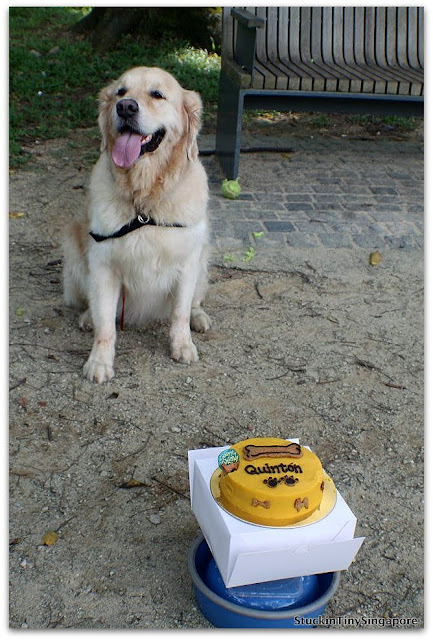 Stuck in Tiny Singapore: My Quinton turns 7! Couldn't believe that it was Quinton's time to turn 7 years old today. 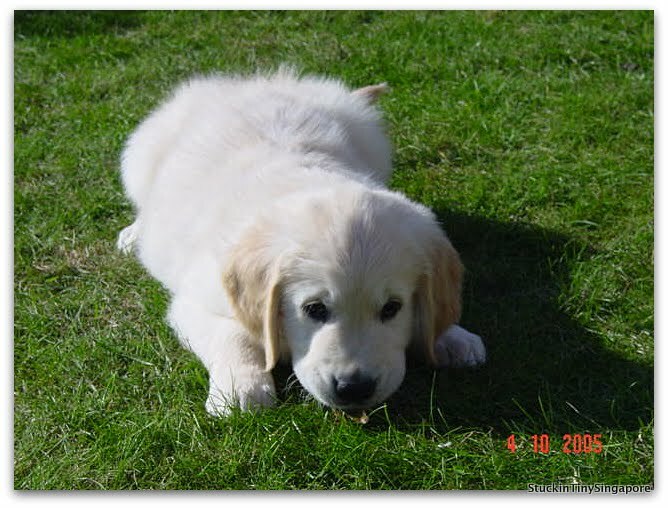 His Birthday was only a couple of weeks after Reegan's. So after Reegan's mini birthday party with her Therapy Dogs friends. 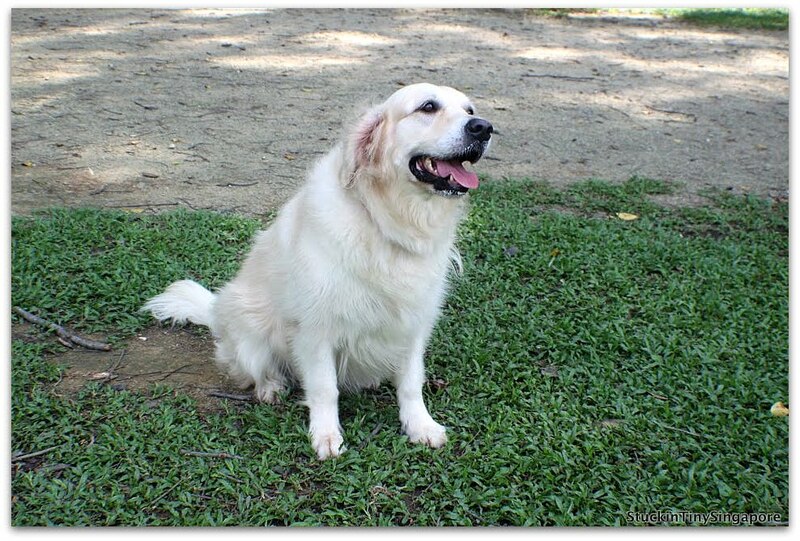 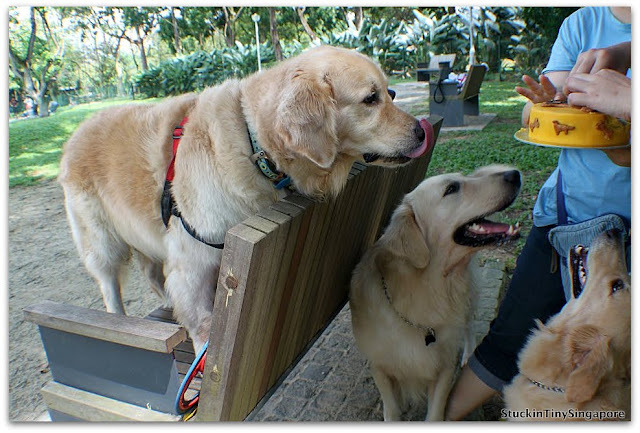 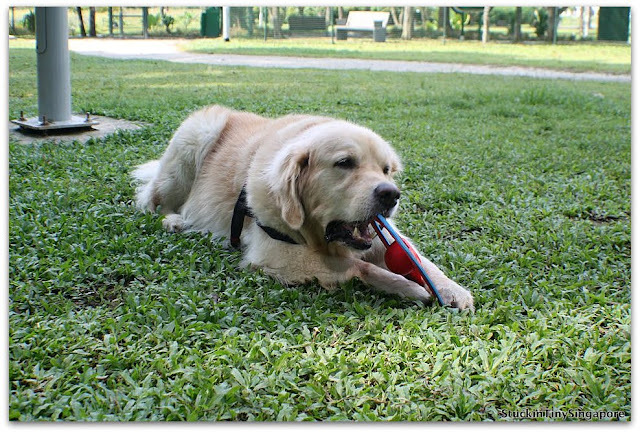 It was Quinton's mini birthday gathering with his Golden Retriever Club friends at Bishan Dog Park. 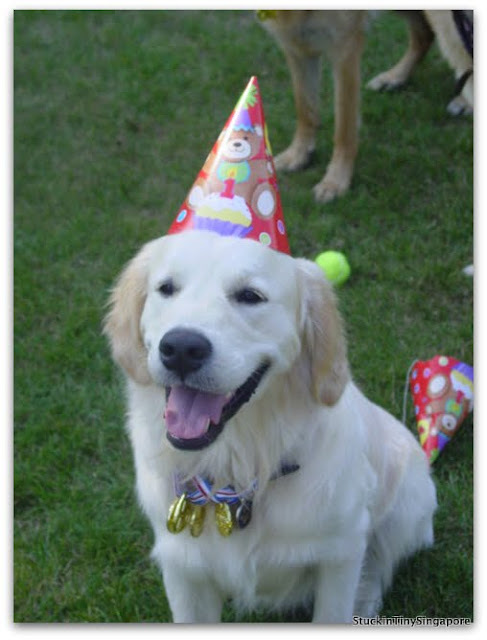 The last time I had a party for him was when he turned one. 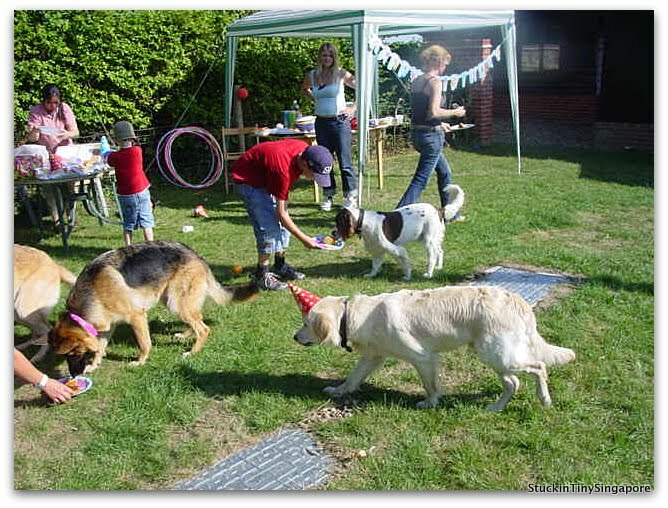 We had all his doggie friends (10 of them) at our place as we had a huge garden with a marquee, baby pool, human and dog food, with plenty of games and even medals. 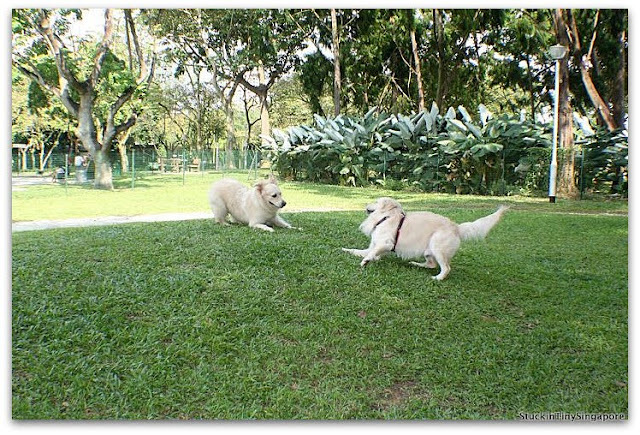 This time for it's with a smaller group of dogs but I hope he had just a lot of fun :). 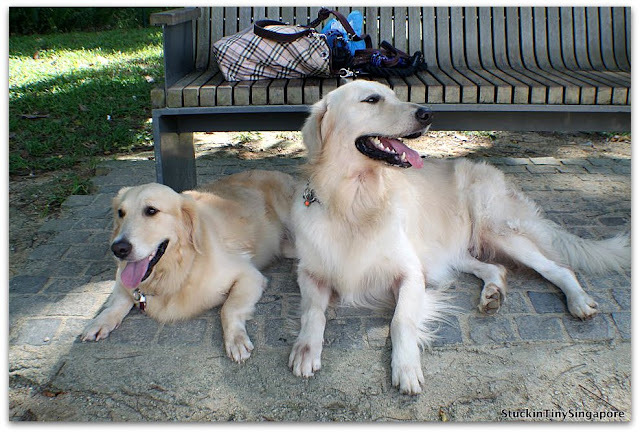 I invited Muzhen & Mulan, and Charley who belongs to a lovely lady called Yuko. I ordered the birthday cake again from the Barkery. This time a simple round cake for all the doggies to share. They played at the park till they were exhausted before we served out the cake for them. Instead of fish, this time I ordered lamb...which all of them wolved it down quickly. Happy Birthday to my boy and may he be happy and healthy and many more years to spend with us!